Last month I became an oyster harvester. OK, maybe not quite. But I donned some waders and worked the oyster beds for about 15 minutes, enough to realize what back-breaking work it is! 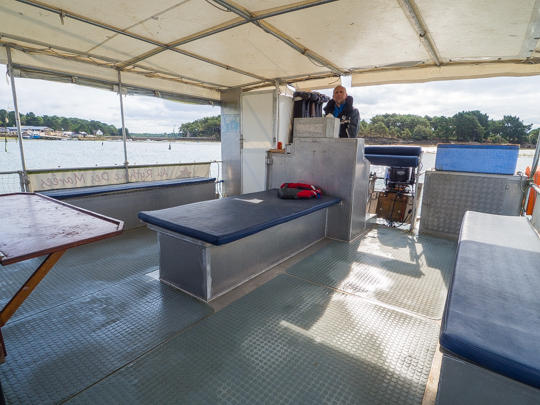 Au Rythme des marées is now offering a 2 ½ hour boat trip with oyster cultivator (ostréiculteur) Ivan Selo of The boat leaves right from my town of Baden in the Morbihan. 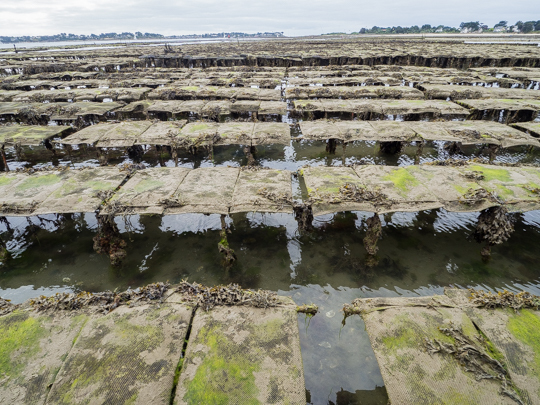 You’ll learn about the oyster production and harvesting process and even get the chance to put on overall boots and jump right into the oyster park and work a bit, as I did. 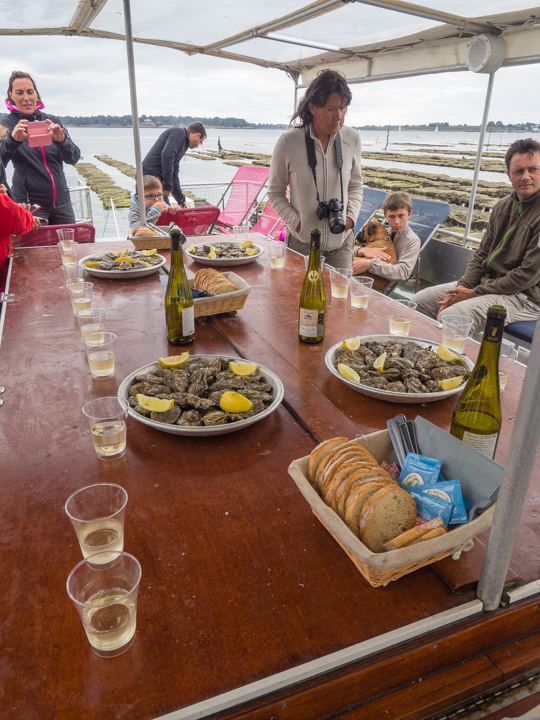 On the way back to the port, you’ll have the chance to taste oysters–and they are very generous with the portions–of course with bread, butter and Muscadet (white wine) as well. The trip leaves once a day April through October, at a different time each day depending on the tides. You can find the schedule and book your excursion here. At €29 for adults and €19 for kids, I found the price extremely reasonable. There’s just one catch: unfortunately the presentation is only offered in French. So if you’re anglophone only, you may be a bit lost.